Being deemed as the "most significant tech acquisition of 2018," IBM's purchase of Red Hat for $34 billion is not your average M&A. Apparently the cloud computing industry is in for another major disruption as a purchase of this size could change the market forever. - Who is it relevant to and why? 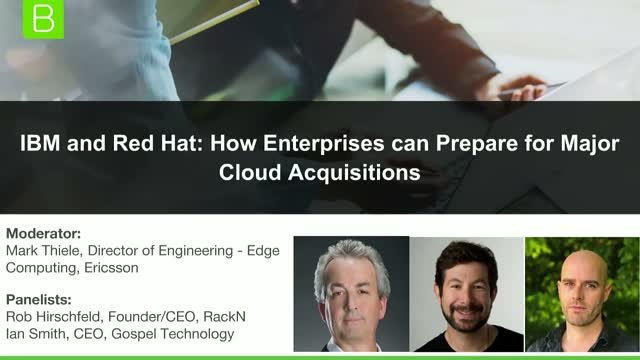 - Is this is an indication of other big cloud computing deals to come and if so, how should enterprises prepare when selecting their technology providers? - What does this mean for hybrid cloud and containers? - Will this acquisition be different from HP's acquisition of Compaq? Of others in the Cloud market?